In our family, Thanksgiving and Hannukah are both filled with food traditions. Extended family travels in to visit and no matter what else we do – gift-giving, candle-lighting, dog-walking, hiking, game-playing, it’s the food we all look forward to the most. Thanksgiving is the very reason we bought a dining room table to fit 14! So it seemed almost unfair to join the two holidays together this year in the made-up, once-in-a-lifetime new tradition of Thanksgivukkah. But the calendar doesn’t lie. Hannukah starts on the eve of Thanksgiving. For fear of being labeled a “scrooge” (borrowing from yet another major holiday around the corner), I have been scrambling for inspiration for some food tradition to marry these two family gatherings together. My family’s “award-winning” rugelach, always present on the Hannukah dessert table, seemed like a natural starting point. It has a rich history which you can read about here, but I was stuck on how to recreate it to incorporate the Thanksgiving flavors into our traditional Hannukah treat – pumpkin? pecans? apples? cranberries? Then my son, inspired by a memory of my late Aunt Marilyn, suggested the magical combination of orange and cranberry and my reticence to engage in the Thanksgivukkah craze turned to enthusiasm. 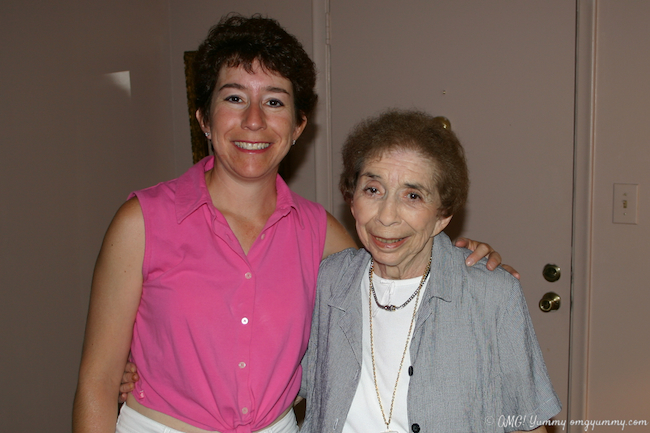 When Aunt Marilyn was near the end of her life, we all flew to Florida to spend a few special days together. Each person holds his own memory of that visit, but my son fondly recalls her love for a Starbucks cranberry orange muffin. You can even see one in a bag by her hospital bed in one of the photos. Inspired by my son’s special memory, I was finally motivated to create a Thanksgivukkah pastry that I know Aunt Marilyn would have been excited to eat. For a burst of orange and tangy tart cranberry flavor, I infused the dough with orange zest, replaced our traditional currants with dried cranberries in the filling, and used a combination of homemade cranberry jam and a purchased citrus marmalade to replace what is usually apricot jam spread on both the interior and exterior of the little pastry. 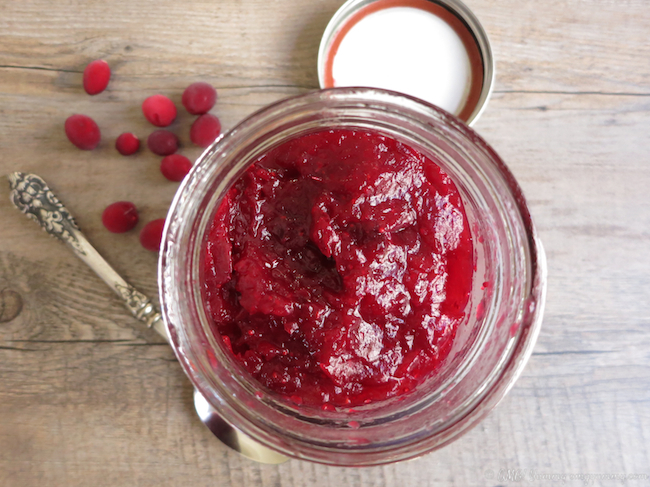 Don’t let the cranberry jam scare you off – it is simple to make and will be so welcome on your turkey sandwich leftovers. But a stand-in of raspberry jam will not hurt either. For the citrus marmalade, I splurged on an Italian mixed citrus version but any good-quality orange marmalade will do. Rugelach-making can be time consuming, but plan to do it in steps so you can fit in bits and pieces of the process as time allows. Dough can be made ahead and refrigerated for a day or two or even frozen. Filling can be mixed and left covered at room temperature for a day in a cool dry place. You can freeze unbaked or baked rugelach for later use. For detailed step-by-step photos of the process, be sure to check out my original post on rugelach. I promise, no one will complain if these little gems appear for dessert at your Hannukah, Thanksgiving, or Thanksgivukkah celebration or for your afternoon respite from cooking enjoyed with a hot cup of coffee or tea. Cheers to warm memories recalled and new traditions created during this holiday season. If you celebrate both Hannukah and Thanksgiving, what is your strategy for celebrating the two holidays this year? P.S. 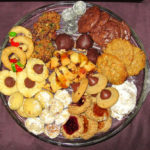 I entered these in the LA Times Annual Cookie Bake-off – you can vote once a day until Dec. 2. Here is the link for all the entries latimes.com/bakeoff. 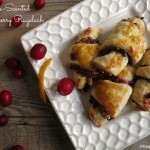 If you type “rugelach” in the search box, my entry will come up! Thanks in advance for your votes, if you think these are worthy! 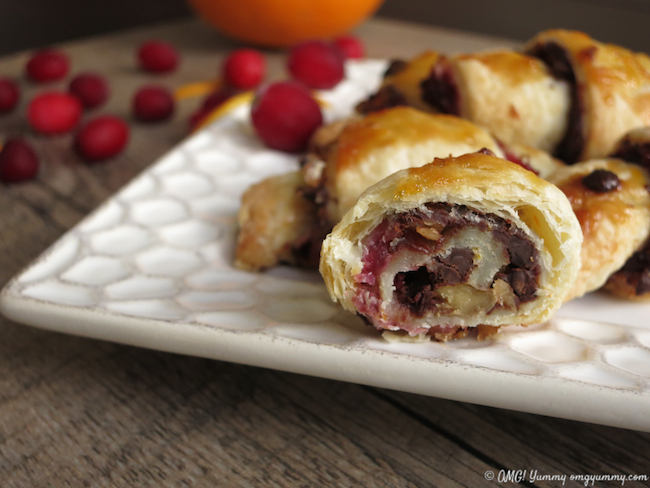 A rugelach combining an orange-scented dough with dried cranberries, dark chocolate, toasted walnuts, and homemade cranberry jam - it's a burst of Thanksgiving and Hannukah goodness in every bite. In the bowl of your stand mixer, beat the butter and cream cheese on medium high speed until soft and creamy, about 1 minute. 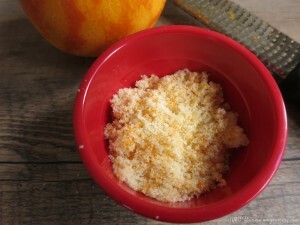 Mix in the sour cream and 2 tablespoons of orange-zested sugar until well combined, about 1 minute. 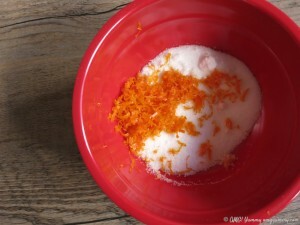 Add flour and use mixer on low speed to carefully mix in OR stir in the flour by hand until well blended. In both cases, be careful not to over-mix or knead. Just combine until the flour is mixed in and the dough can be pulled together into a ball. Form it into a ball, wrap the dough in plastic wrap and refrigerate for at least 2 hours or overnight. The key to rugelach making is to get organized. Preheat the oven to 350 degrees. Put your jam(s) into small bowls each with a pastry brush for spreading. Have your flour available for dough preparation. Pizza cutter at the ready. ½ cup measure ready for filling. Cookie sheets lined with silicone mat or parchment nearby. Divide the dough into 4 equal portions; refrigerate all but 1. On a lightly floured surface, form the dough into a ball and flatten it out. Roll the dough into a circle about 10 inches in diameter and ⅛ inch thick. Brush 2 tablespoons of the cranberry jam over the dough. Sprinkle a generous ½ cup of the filling mixture evenly over the dough and press down gently. Cut the dough into 12 triangles using a pizza or dough cutter. Gently but firmly roll each triangle up starting at the wide end. Place the rugelach, with the pointed side underneath, on a large cookie sheet lined with a silicone mat or parchment paper. Roll up the remaining triangles in the same manner and arrange them on the sheet, about ½ inch apart. 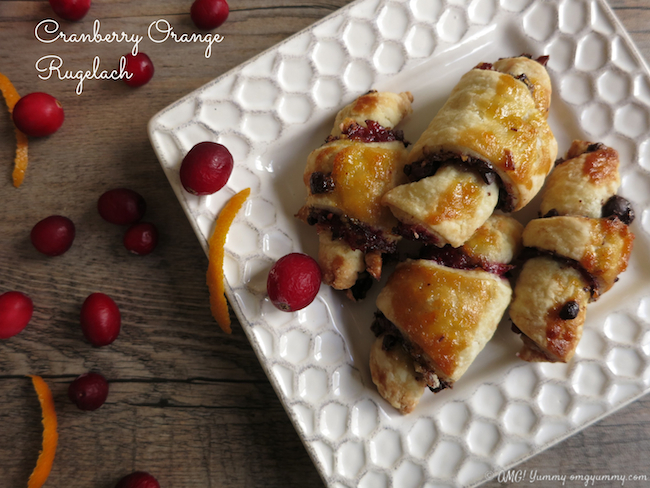 Brush each rugelach with a dab of the orange or citrus marmalade, then refrigerate the pan for 15 – 30 minutes before baking. This step seems to help then hold their form when baking. Repeat with the remaining dough, preserves and filling mixture; the rugelach will fit on 2 - 3 cookie sheets, depending on how large your sheets are. Do not overcrowd them. Bake up to two sheets at a time, switching the sheets after 20 minutes, for 35 to 40 minutes, or until the edges start to brown and filling starts to ooze a bit. I found if I baked one sheet at a time, it took just under 30 minutes in a 350 degree oven. Once out of the oven, transfer the rugelach to a rack to cool. Store in a closed container for several days or the rugelach can be frozen, well wrapped, for 2-4 weeks; let return to room temperature before serving. 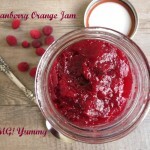 Use my homemade Cranberry Orange Jam for filling. 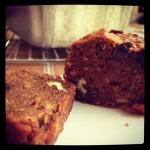 This is a great recipe, thank you for sharing we all really enjoyed. I am so glad! Thanks Noelle! This sounds like a great recipe to combine the two holidays together! And the orange-cranberry flavor is always a winner. I make breads for the holidays too and no matter if it takes a little longer there is a lot of love mixed in with the results. And everyone always appreciates all the deliciousness. Good for you for making something that brings memories of important people to the forefront. Very special indeed. You would have loved her Laura – she was like a little doll – petite, always put together, sweet as can be, and she loved her orange and cranberry! Love the photographs, use of color and light. It truly makes me want to try this recipe. Good job! What a great treat for the holidays! Pinned and shared. Thank you Renee! Happy Thanksgiving! This made me smile ear to ear. Family. Tradition. Memory. And very good food. I love how you brought the two holidays together in this delicious treat! Thanks – it was a lot of work to figure out the recipe but worth every minute! Thanks for visiting! 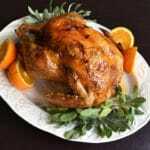 I am very fond of holiday traditions and the food we associate with our memories. So many things change over the years and yet the aromas and flavors of our favorite food memories draw us back in time. Savor every moment as each year is special. 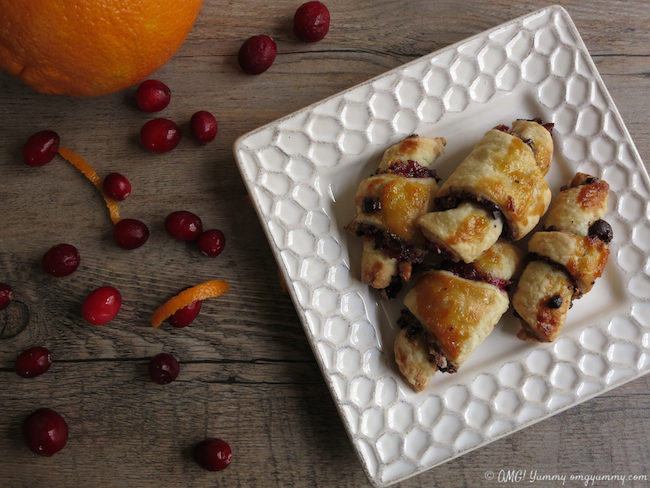 The exceptional Cranberry Orange Rugelach is a fabulous treat to celebrate the year of colliding holidays! The year of colliding holidays – that’s how I feel! I can’t believe my house is going to smell like oil and stuffing at the same time. Those smells are supposed to be separate and distinct! Oh well – we will make the best of it, starting with the rugelach! Hope you and yours are looking forward to a delicious and restful holiday! I could not read the story without a tear or two. Thanks for remembering her so lovingly. She will be very happy that we are enjoying the rugelachs. She would have loved them. We will enjoy them next week and think of good memories. 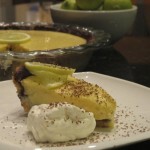 Sweet story, clever recipe and terrific photos! Such a nice post, Beth. Good luck in the contest, too! Thanks Carol! I really couldn’t get excited about the overlapping holidays until my son recalled that memory – so fun when I looked through some old photos and saw a muffin in the hospital – @dormantchef and my SIL are giving her a manicure and right there on the hospital table is a starbucks bag with you-know-what in it. Lots of work to create the recipe but a huge learning experience and lots of fun. What a lovely filling for the rugelach 🙂 I made rugelach for the first time some time ago,and used a nut and date-filling. Hi Jael! Dates – that is one great idea! that could be super yummy. 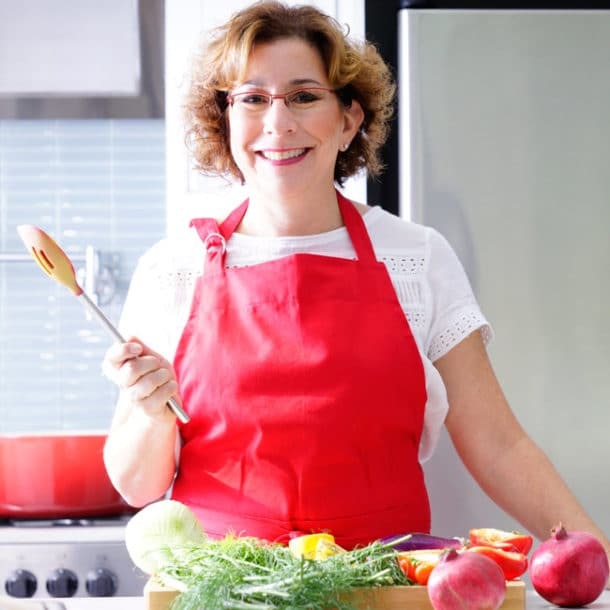 I had fun playing with the fillings – you learn so much about flavor creation when you try so many different combinations to get the taste you want. Thanks for stopping by!